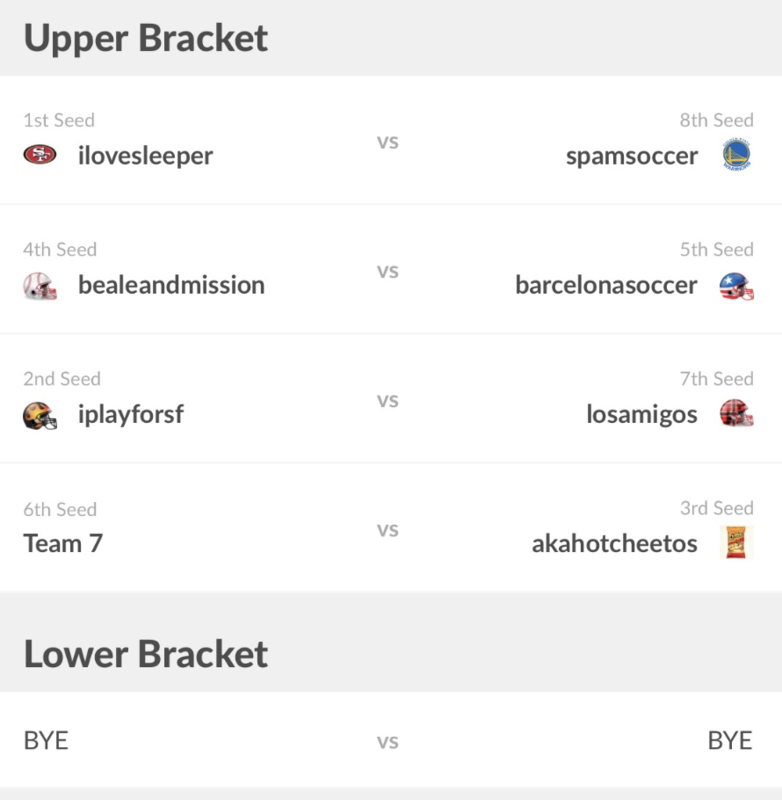 If you have different rules for who makes it into playoffs or the seeding order, go to league settings on your phone. Then, scroll to the bottom, and tap on "edit playoff seeding". Once playoffs begin, you wont be able to edit matchups, so make sure to set it up before the first game of playoffs. 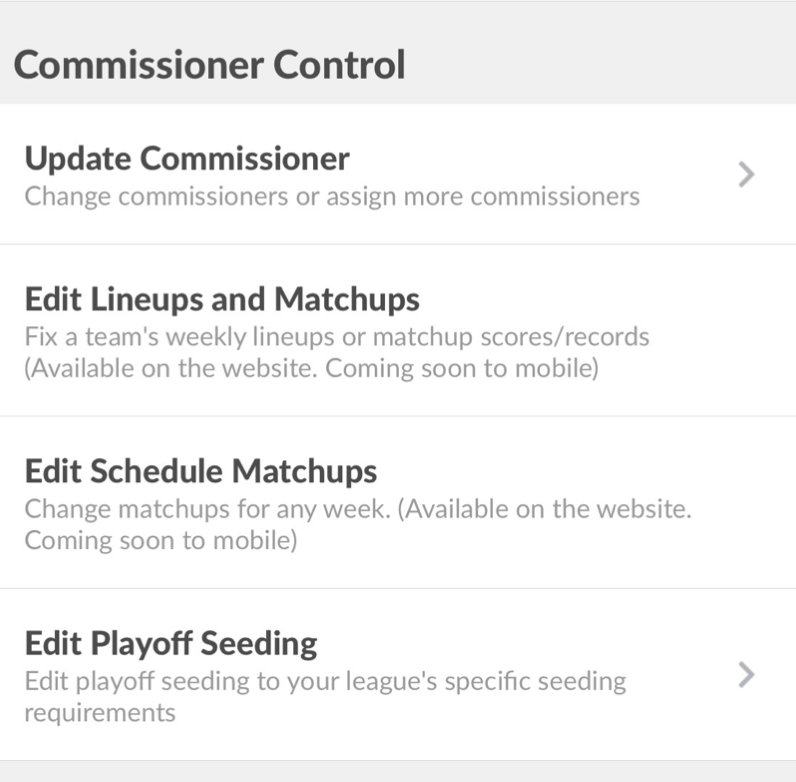 Next, tap on the seed that you want to update and you'll see a list of teams show up at the bottom of your phone. Tap on the team that you want to switch. IMPORTANT: after you've made all the changes, tap update in the upper right before exiting the screen. Unfortunately, for the 2018 Fantasy season, we do not support two weeks playoffs for the championship (we hope to support it next year). If this is important to your league, you can work around it by turning playoffs off. Go to general settings, to turn playoffs off. Go to general settings and you can select Toilet Bowl: where the loser advances (for ultimate shaming). If you give money back to the winner in the loser's bracket, do not like the toilet bowl, or some other reason, you can also change it so that the winder advances by selecting the consolation bracket. Sleeper does not support reseeding between Round 1 and Round 2, so that the number 1 seed will always play the lowest seed. If this is important to your league, you can work around it by turning playoffs off. Go to general settings, to turn playoffs off.